Dr. Michael Mann's dishonest political messaging | Watts Up With That? The imagery is dishonest. I challenge Dr. Mann to find any home in Norfolk that looks like that due to sea level rise. Just one will do. And no, a photoshop tricked-out house like your buds at NCDC used won’t qualify. Dr. Michael Mann is a world-renowned climate scientist and former University of Virginia professor. 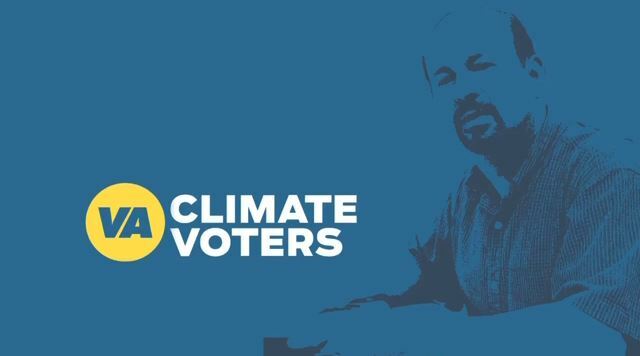 This animated interview recounts the grievances Prof. Mann faced at the hand of gubernatorial candidate Ken Cuccinelli, and details the threats to all Virginians caused by climate change. Anything for “the cause” I suppose. Dr. Mann once referred to me as a “denier for dollars” (he imagines huge budgets at my disposal, but reality differs), I suppose it is only fair to return the favor by pointing out his involvement as a political science shill for VA gubernatorial candidate Terry McAuliffe. Mann , doing good for years ,undermining ‘the cause ‘ that is . If he did not exist, sceptics have a much harder time . Keep him in the spot light, keep him under pressure and watch him blow . And had that sea level rise continued on its pace from 1930-1940 the number would have been substantially higher–but it flattened, then resumed, then flattened, etc. Also, anyone know what is happening to the ground where this gauge is sited? Is it subsiding? “Oh Mann, that’s a lot of hype!” Grrrr…. I think it is pretty fitting that Mann is going after Cuccinelli after Cuccinelli basically said Mann was guilty of scientific fraud. This is even _after_ study after study keeps reaffirming the hockey stick. Pick your enemies carefully. 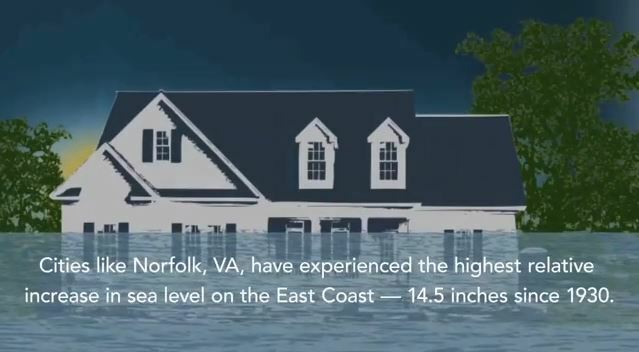 How can Norfolk, VA have a larger sea level rise than other places? That doesn’t make any sense. Sounds to me like a big component of the so-called “sea level rise” is actually subsidence. North East Canada was the centre of a huge glacier, known as the Laurentide ice sheet, with a thickness of several kilometres. The weight of the ice bowed the Earth’s surface down. formerly glaciated areas rises after the ice load has disappeared. The Hudson Bay uplift is about 2-3 meters/century. Consequently areas further south (mainly along the east USA coastline) are slowly sinking as the continental balance is maintained, the consequence of th last Ice age and nothing to do with the s.c. AGW. Norfolk does have a flooding problem, as it is not a very high elevation and has poor drainage. Except for under passes the water seldom gets more than a foot or two high in the streets. I believe the rise in tide level is mostly due to the land sinking. If one averages the temperatures for the weather stations in Virginia (see Bit Tooth Energy-Virginia”) you will find that there was a significant temperature drop in the period from 1950 to 1968 that the state average temperature has yet to recover from. Thus the statements concerning average state temperatures are incorrect. What is a “relative increase” in sea level? Is that different from an actual increase? I guess short and squat folks can get away with low ceilings. Once upon a time Gavin was the skeptic’s best friend. Now it’s Mann’s turn, since it’s just too easy to point out how counterproductive/stupid/silly his initiatives are. Ah, no thanks, no interest in seeing or hearing what that fool has to say. Please cite the studies which you imagine support the bogus Hockey Stick. Mann is a blatant fraudster, as shown by the HS itself, hiding the decline in Briffa’s line behind a mass of spaghetti. Cuccinelli was right to seek the emails he wrote on a work computer while a VA public employee. Michael Mann does not like publicity. More than a year removed from that controversy and with a book on climate change now under his belt, Mann reflected on the experience in an interview before his speaking engagements. Mann is great in the art of selling disaster. Perhaps I’m wrong here, but this seems to be his sole purpose, selling fear. Science was never the intent. You just destroyed any scientific credibility you might have had. Mann’s hockey stick has been refuted numerous by the best minds in the world. It is not any longer kool to try to defend that fraud. Don’t embarrass yourself. As an earth sciences professor, it is tantamount to fraud to exploit a natural sinking of the coast caused by a down-flexure in response to the rise in land surface in Canada from glacial rebound. These guys have no shame. Useful idiots like Pippen Kool at least have ignorance on their side. Bloody hell. The more I hear the real Michael Mann , the more I realise he’s bluffing in the lucrative wind. Really, really desperate b*llocks. So bad I’m shocked. He has fallen down a Mann hole and is surely in over his head on sea level rise. A fitting mental image suitable for a coffee mug cartoon. I couldn’t finish it. The number of flat-out lies outraged me too much. One–he never admitted that even he had to retract his original hockey stick. I think it is pretty fitting that Mann is going after Cuccinelli after Cuccinelli basically said Mann was guilty of scientific fraud. This is even _after_ study after study keeps reaffirming the hockey stick. You’ll have to specify if you mean the earlier “weak” version with the visible Medieval Warm Period, the flat-handled “there were no high temperatures until now” highly-discredited one the IPCC no longer can use, or one of the newer “obfuscated spaghetti” versions. If he keeps getting reaffirmed like this, there’ll be no need for the formality of official falsification. Anthony: This not photoshopped image shows that Mann clearly knows what he is talking about. With friends like Dr. Mann, who needs enemies. 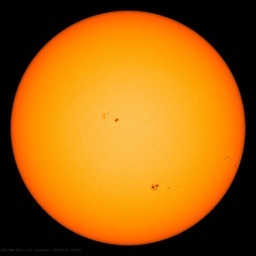 Keep up the good work, Dr Mann, you are helping to expose man-made global warming scientists as fraudulent hucksters. Shock news. Mann links subsidence to . So predictable it’s boring. Mann is the sad fool that did not know when to shut up and run with the money. This is one of the few guys that will eventually pay for this mess. Two Norfolks (VA and UK) with a similar problem, isostatic depression completely unrelated to CAGW but that won’t stop Mann et al claiming otherwise. Question is: how to debunk him and his charlatan friends so thoroughly and publicly that no-one will ever take the blindest bit of notice of them again? Coaloffire, as Vukcevic says, isostacy explains the relative increase in sea level i.e. the land is falling in relation to a fairly static sea. the other so desperate for money he’ll even expose himself to get it. Hey, at least he isn’t a “Nobel Laureate” any longer. There has been progress! I despise “single issue voters”, they completely destroy the entire democratic process. None of these, or the many other single-issue hot buttons are important enough to disrupt our entire society to “address”, and yet voters will completely ignore all of the catastrophic and often fatal flaws of a candidate if they appear to support their single issue. Today the most viable campaign method is to determine which single-issues your electorate will be most passionate about, announce that you’re on their side for those issues, and watch your opponent drown. Then, once elected, either completely ignore the issue or do some token thing toward it and laugh at how stupid people are. Anthony’s “reality differs” link showing Mann’s reaction to an inexpensive gift is priceless. And Pippenfool, please. Mann is absolutely part of the scientific misconduct endemic to alarmist climate ‘science’. Once someone reads the Climategate emails, there is no doubt about Mann. You should try it sometime; learn something truthful about your bogus HE-RO. In reality, Michael Mann is a scoundrel. His own words convict him. Unfortunately its NOT funny. Lie big enough, often enough and you can bluster it through. I am sure he is a real believer and thinks he is an eco-warrior for the ’cause’. But he also knows that its about the power to compel others to your argument by using an elected office. We should all be aware and concerned that these people will pervert public office to pursue their views. Science? Come on…people don’t believe it any more so they have to abandon that and change tack. So, from about the USA-Canada border to all points North, the land is rising, and below that it is sinking. So where do the climate kooks decide to go to cherry pick sea-level? Yep, coastal cities in the USA which are doing precisely what they are supposed to be doing, sinking. Climate kooks are liars and scoundrels of the highest order. It is entirely possible that sea-level ‘should be’ rising even faster than we currently see. In other words it may not be rising fast enough to still confirm our place in an interglacial. This is troubling because it’s very likely that the only detectable warning indicating the winding down of the current Holocene interglacial will be the slowing of sea-level rise before it turns the corner and sea-level begins to decline ( that would be truly alarming news ). All someone needs to do is ask Mann, McKibben, Romm and the other kooks one simple question … What should sea-level be doing on the USA coasts?. Demand that they answer it. 2. Never has been eligible to vote. Result: no net gain for McA. — Mann scams some more cash: robbing slumlord to pay loan shark. Shrug. “Crusades Against Science 101″ with Professor Michael Mann”. Mann is the crusader for ideology à la the IPCC quest for alarm. During his crusade we see Mann sitting faced backward astride his ignoble steed, the donkey of statistical ignorance, armed with a fearsome lance made from the lone miraculous Yamal tree. Skeptics, behold the Crusader Mann and shake with fear a little loathing and a lot of giggling. Pimping for campaign cash, is he. Mann needs a ton of cash to fund his frivolous lawsuit against Mark Steyn, National Review, and CEI in D.C. Courts right now. Can’t have the DNC directly funding him… . I hope Mann keeps opening his mouth and digs a deep deep hole for the global warming cult . What scientist came into his /her field thinking propaganda was part of the job description? He must be considered a goof within the climate industry . Excuse me, what study reaffirms the hockey stick? True, Amber. But, a USEFUL goof. (% o/) He’s long past his sell-by date, though. The IPCC crowd aren’t having a whole lot to do with him, these days. Now, Ma-n-n (arrgh! no more m-dr-ation on this thread for me!) is (unbeknownst to him) on OUR side, lol. As Jeremy said at 3:39pm, “keep up the good work”! Nice list, there, Kevin Knoebel — I tried to create just such post and gave up the research after 15 minutes of trying. LOL, John at 4:32pm — fun imagery (much better than above vid). Backward. Exactly. Hard to see how anyone would fall for the house shot. The house photo has no reflection of the house in the water and we can see the full house through the water. Real water wouldn’t be that clear. All is right with the world. Saw the picture of the house under water and wondered for a moment why you would be rewriting about subprime mortgages. Jquip — lol. You’re right — that image will only confuse a semi-intelligent voter. The intelligent ones won’t fall for it; the low-intelligence ones won’t vote (well, as I mentioned, yes, they may “vote” — but, no need for vid for them). Bwah, ha, ha, ha, haaaaaaaaaa! Heh … A crook campaigning for a crook. Imagine that.I doubt that it’ll do any good. Anyone stupid enough to consider herself a “climate voter” is already going to vote the Democratic ticket anyway. If this has any effect whatsoever, it will probably just help to energize Cuccinelli’s base, which could be an important factor in this race. Keep in mind that turnout for this election is going to be very low, because most of the voters in Virginia don’t like either candidate. Their ratings are in the basement. It’s true, the hockey stick keeps coming back. Every time one of Mann’s assistants uses poor proxies, throws out the proxies that don’t fit their predetermined results, uses wrong statistical processes to graph those proxies then grafts a high resolution temperature record on the low resolution junk result they get a hockey stick. Dang video wouldn’t load. I suspect the site is overwhelmed by WUWT folks. Just as well I guess, it’s nearly dinner time. …and like Mann, P. Kool has never heard of the Urban Heat Island effect, AKA ‘The Hockey Stick’. Anyone who doesn’t believe in isostatic rebound ought to look at the massive sea level FALL in southeast Alaska (see Juneau, for example) associated with the rapid glacial recession in Glacier Bay. Mann is now claiming he’s got 14.5 inches and a hockey stick! Is this science or an unbelievable advertisement in a seedy publication? No it’s a headline in The Washington Post! Sad but true! Does a rising oceans rise faster in some parts than others? How can this be? Oh, goodie! Portrait of the Artist as an Aggrieved Mann: The Movie. And, as has become his standard practice, the “David <I see you, I sue you> Irving” of climate science misrepresents – again! Frankly, I’m not sure which is worse: Canada’s Andrew Weaver (IPCC-nik and climate modeller, turned politico, and now newly minted Green Party MLA) acting as a PR shill for Greenpeace, or Michael Mann (IPCC-nik and climate modeller) selling his “soul” [if he actually has one!] by acting as the shameless PR shill for a candidate for political office. Oh, well … birds of a feather, and all that, I suppose! True Sea level can never be recorded on earth ANWHERE!!! Land masses are always moving from the plates of earth. Norfolk VA is built on soft soil, it is like a giant sponge, more weight it sinks. New Orleans is 10+ feet below sea level. A city built on a swamp. In my opinion? Are people really swayed or fooled or surprised or do they even notice overdone photos? And I don’t even have live TV or FOX news in the house. but in the last year there’s the BEST study and Walcott et al. Pick your poison. If there is a scientific published study that refutes the hockey stitch, cite it! You know, like real skeptics…even McIntyre critiques were eventually cut down. But the damning evidence is seeing the same hockey stick over and over again. Like Geick, one man’s freedom freedom fighter is another’s scoundrel. Opinion is just opinion. Michael Mann has discovered the missing heat all locked up in a lock box discarded off the Virginia coast. Something left over from the VP Gore era perhaps ? Gary Pearse claims Canadian ice sheet rebound is not the cause for the “rise” in sea level in the Norfolk area, but offers no alternatives as to why one city along the Atlantic seaboard would have more “rise” than other areas. There must be more subsidence here relative to other places, right? If not from post Ice Age phenomena, then what? Seems like it is fraud to claim the “rise” is from sea level alone. Without a doubt Dr. Michael Mann is a propagandist, not a scientist. Would he even know of subsidence? Doubtful. So Dr. Michael Mann, learn something new, I know you read this site… subsidence is the motion of a surface (usually, the Earth’s surface) as it shifts downward relative to a datum such as sea-level and can give the appearance of sea level rise where actual sea level rise does not exist. Good boy! The last thing that Mann wants is Cuccinelli as governor. The extra powers would allow him to get into the underlying stuff Mann did with the Hockey Stick and whatever else at UVA. Unfortunately, the polls are not going Cuccinelli’s way. So. What distorted picture is in the water this time? Get rid of the text so we can see it! Bummer, but studies performed by Global Warmers rubber stamping Mann’s Hokey Schtick do not carry any weight, especially Scientific. Just because you see the same thing is no evidence that it is factual. I see pictures of Santa over and over again. Mann’s chart cannot be used by the IPCC any more. Why not? Because it has been thoroughly debunked. And regarding “fake imagery”, see here. That gif shows La Jolla, California more than a hunderd years ago — and now. Explain to us how that is “fake”. If it is not fake, then the whole ‘sea level’ scare is once again falsified, just like every other alarmist prediction. It’s not a matter of opinion. Either there are studies supporting the fraudulent HS or there are not. Again I ask, please trot out those you imagine support the chicanery. If Gleick (whom I assume you meant) is a freedom fighter, then so was that other well known Big Liar Goebbels. If Pippin the Kook-Aid drinker wants to delude himself into thinking that Mann’s hockey stick was something more than bad science coupled with a willful disregard for contradicting data, have at it. But he’ll have a difficult time peddling that crap here. I’ll be blunt. My first response to the new climate report from the world’s top climate scientists was to climb into bed and pull the covers up over my head. Which I did. While I was there I thought things over, knowing I would have to get out of bed soon enough. It was hard to breathe, anyway. The certainty in the scientific community made me ill: We are on the way to catastrophic warming — and human-made pollution is speeding us there. This is way beyond nature’s eternal cycles of warming and cooling. Climate scientists can read the chemical fingerprints of the carbon we are emitting. So let’s all do our parts. It is the only way to be able to get out of bed, and breathe easier. It is the only way to feel hope. (2 pages) 8 Oct: Forbes: Larry Bell: Will Cooling Temperature And Economic Climates Finally Take The Wind Out Of Failed Energy Policies? “We will be the only country in the world charging for the use of the sun,” says Jaume Serrasolses. I live in Virginia Beach, which borders Norfolk (and we have about 10x more coast/shoreline) My family were Lynnhaven watermen from the late 19th century until the late 20th century. I can tell you with no uncertainty that there has been no 14″ sea level rise there – that would easily put high tide to the bulkhead my great grandfather built some 70+ years ago. I was born in 1964 and from the last time I was spending a lot of time at grandma’s (just a couple of years ago before she passed) I would say high tide is the same place on the shore it has been my whole life (and I worked that inlet for my most of my childhood/teen years – I know the Lynnhaven fairly well). I could maybe believe a couple of inches as that might be hard to discern, but a foot + ??? When some skeptic provides published scientific data that refutes the hockey stick, then maybe you have something to say. But as of now you only have blog entries. Pippen–we truly enjoy the comedy of trolls, but you seem to have lost your touch. Not once have you mentioned the drowning polar bears, for example. Please, more of the good stuff…. Check the IPCC AR5 chapter 5, figure 5.8. No current paleoclimate reconstructions are hockey sticks. So the reference is all of them. Mann used proxies that didn’t match the temperature record. If your proxy can’t match the record now it can’t be a proxy for temperature in the past. He then picked only results that fit his predetermined result and tossed out others for no reason. Then he incorrectly calculated the statistics and to hide the proxy divergence by covering them with temperature records. The Wegman report covered all this. Mann’s defense was that by fixing his statistical analysis he could still get a hockey stick-like graph and two of his assistants tried just that. But simply fixing the statistical error does not fix the bad proxies, cherry picked proxies and divergence problem. Yes, if you take his data you will get a hockey stick, the problem is his data. The hockey stick can never (and has never) come back because it disputes empirical evidence. There was no LIA or MWP in his analyses. If your proxy data disputes emperical evidence than your proxy is bad not the emperical evidence. Where have you been since 2003, when the HS was broken into laughable little pieces by Singer, Soon, Baliunas, McIntyre, McKittrick, von Storch, et al? BTW, Did anyone notice in figure 5.8 of AR5 it shows the MWP warmer than now? yeah, geran, pippen’s just trolling, and it’s a pretty incoherent troll at that. It looks like he’s trying to work the “appeal to authority” and the supposed Ex Cathedra value of blurbs that have been “published” in all of the Politically Correct news outlets, but he’s not even doing a very good job of that. You’re right, boooooring. Sad, but the carpet bagger will probably win – in spite of Mann and his stupidity. Wrong as usual, Pippen. Wrong as usual. Shenanigans24 and others have cited a number of very credible scientists who thoroughly debunked Mann’s hockey stick chart. Mann hid his data in an ftp file labeled “censored”. It contained data that would have destroyed his hockey stick, so he didn’t use it. He cherry-picked whatever data fabricated his ‘stick, and hid the rest. Just out of curiosity, what does anybody think the likelihood is that the sponsors of this political ad, the NextGen Climate Action Committee, has been subjected to an IRS audit or been denied tax exempt status if they applied for such an exemption? Ok, I know, stupid question. Norfolk floods best with heavy rains that over tax it’s old storm sewer system. Add to that high tide when Nor’easter conditions send the Chesapeake Bay into the Elisabeth River and you see flooding. More then a little bit of the water front is on filled marsh or wet-lands that have been repurposed from “docks and storage” to multi-story buildings. No rebound required for subsidence. We don’t need the “Mann” hockey stick anymore. There are too many others. Evidence that CO2 increases sea level. perhaps an island will disappear. “The island is really just a big pile of mud from the seafloor that got pushed up. This area of the world seems to see so many of these features because the geology is correct for their formation. You need a shallow, buried layer of pressurized gas—methane, carbon dioxide, or something else—and fluids. When that layer becomes disturbed by seismic waves (like an earthquake), the gases and fluids become buoyant and rush to the surface, bringing the rock and mud with them,” Bill Barnhart, a geologist at the US Geological Survey told NASA’s Earth Observatory. Another horrific example of what most folks, no matter your GPS location, are fed by the MSM daily. Ideological desperation as a result of an uncooperative “Mother Nature” , is what we see! Very good pippin, eject the hockey stick when it no longer brings laughs. How about the “heat is hiding in the oceans”? You’ve been asked politely repeatedly to name these alleged other HSs. Please do so instead of asserting baseless claims. I’m afraid that your recent decision to allow more un-moderated comments has resulted in comment threads like this one. It is full of gibberish that adds nothing to the discussion of the original post. Please consider reinstating the old moderation rules. I want to be able to read well-reasoned comments that stick to the topic of the original post. the devil is still at large. I look forward to the day when Michael Mann will be regarded as scientifically irrelevant by everyone! OssQss! — so glad you are “back.” I’ve missed all your fun video clips. Thanks for that one, lol. I never liked that lady when you and I (how’s it goin’ post-birthday? — I was afraid you’d gotten so depressed you couldn’t search for vids anymore) were kids. She was so smug — I was GLAD she was fooled (hm, guess that was the whole idea – but it never made me want to eat margarine) — just like those annoying “Trix are for kids” brats — I wanted the rabbit to keep the cereal, selfish little jerks. The Lucky Charms leprechaun worked pretty good, those kids weren’t creeps, just trying to enjoy some cereal. Sure wish I could still eat all that stuff. If I did — I’d start to look like M.M.! And remember Saturday morning cartoons? And “Funorama” and… sigh. Those were the days. Ooooo-kay! Pippen! That was your cue! ON WITH THE SHOW… …….. Pippen? You spelled out M-an-n and got into mo-dr-ation, huh, Page #488 (what song is that, anyway?)? Happened to me twice on this thread before I figured it out. Arrgh. Oh, btw, rejoice! M.M. IS regarded as “scientifically irrelevant” by everyone who knows enough to have an intelligent opinion on the matter. Icons of past temperature variability, as featured in the Intergovernmental Panel on Climate Change (IPCC) reports over nearly two decades, have changed from a schematic sketch in 1990, to a seemingly well‐solved story in 2001, to more explicit recognition of significant uncertainties in 2007. Voila! Uncertainties suppressed for a “well-solved story”, and under pressure from the likes of McIntyre and McKitrick (2003), they had to admit things weren’t so neat and tidy. Suppressing information on uncertainties? Huge no-no in medical research to the financial sector. Deliberately use of such faked-up certainties when soliciting funds, that is frequently known as fraudulent behavior. And the maker of the presentation is an accessory to fraud, at least. Such behavior tends to be prosecutable too, in all but the hallowed halls of academia where they dismiss such discrepancies as “normal scientific discourse”. Physics Major, I think you’re mistaken. The only difference between current moderation policies and previous ones are “trust based”, where known acceptable commenters comments are allowed immediately unless they contain certain key phrases that require eyeballs to approve. I don’t think there is any change whatsoever, since previous moderation did not block any but the most grevious disrespecting of the rules, as now. I think your complaint might better be directed at the current crop of trolls, who are absolutely CLUELESS, but convinced that climate “scientists” are gods. Rule #1 for holes: When you’re in one, stop digging. The mouth of the Chesapeake Bay off Newport News and Hampton Bay was hit by a huge Bolide 35 million years ago. The impact left a crater 85 KM in diameter and shattered the underlying bedrock to a depth of 8 Km. That part of Virginia slumping into the ancient crater. To use an area of land that has been sinking for 35 million years as an argument for catastrophic sea rise is devious, but what would we expect from Mann. Try to just scroll on by those who annoy you. Remember, one Robert Simpson’s “gibberish” is another Geran’s (and me, too, in this case — LOL, Pippen is hilarious) — “…work them into your routine…” entertainment. It was a cool thing that real scientists above, I recall Gary Pearse as one, brought genuine science into the discussion. Sometimes, when a post has more than one sub-topic, the main point of the post (conman M.M.’s P.R. career, here) continues on down the thread along with a more important one (subsidence, etc…). Try to laugh and just focus on what interests you. In your admirable, serious, quest for science truth, do keep in mind (it makes life so much more worth living) that physics is phun! Maybe this is just a make believe flood at the make believe building where he was awarded his make believe Nobel Prize. Sorry, Pippen, you’ve lost me. Just how – in any way, shape or form – is Mann an intellectual threat to anyone here? Are you familiar with this site? At all? According to the Army Corp of Engineers in 2010 “about 53% of the RSL rise measured at bay water level stations is, on average, due to local subsidence.” around the Chesapeake Bay. In addition, the absolute sea level rise is about 60% of the global average: “evidence suggests an ASL rise rate of about 1.8 mm/yr in Chesapeake Bay over the 1976-2007 period.”. Janice, the house in Mann’s picture is livable for people of Mann’s physical and mental stature–physically short, mentally non-existent. For such a house water levels approaching the second floor are to be expected. I don’t despise them but, yep, it is a fair observation. Subsidence is real, very real. Just, not, however, subsidence from global warming. That’s a political lie. But subsidence from local withdrawal of water from the nearby aquifers has happened in Japan, Taiwan, Philippines, and – closer to home – Baytown TX. But notice the years: 1955 – 1960 (construction), Hurricane Carla, local water pumping, local reaction, local correction to the problem. NO CAGW INVOLVED. But – it was not 1 mm/year over 20 year (less than an inch) rates of water level increase This was more than five feet in less than 20 years. Global warming “may” affect water levels in Virginia in the “1 inch per 20 year” range. But, does Mann want to talk about real trends, or does he want to engage in the politics that puts money in his wallet? That protects his political teammates and pays his own lawyers? What Cuccinelli needs is Mother Nature on his side. That is a really cold snowy season before election. I wonder if Mann triggers the Gore Effect? Michael Mann is a profoundly dishonest person. Remember, remember the 5th of November – Gunpowder, treason and plot. When I was a kid my mom would tell me about Guy Fawkes day, but I could never figure out who this Fox guy was. If they are worried about flooding, how about stop building in flood plains? When my house on the beautiful Delaware river flooded every year for 4 years, I moved to 1000ft elevation. No more flooding! Robert Catesby was the “ring leader” in the plot to kill James the 1st. Fawkes just happened to be in the wrong place at the wrong time. In modern times, in the UK, its a fun occasion! “…Generally speaking, the paleoclimatology community has not recognized the validity of the [McIntyre and McKitrick] papers and has tended dismiss their results as being developed by biased amateurs. The paleoclimatology community seems to be tightly coupled as indicated by our social network analysis, has rallied around the [Mann] position, and has issued an extensive series of alternative assessments most of which appear to support the conclusions of MBH98/99… Our findings from this analysis suggest that authors in the area of paleoclimate studies are closely connected and thus ‘independent studies’ may not be as independent as they might appear on the surface. According to Mann, a study is only science if it comes to the same conclusion as his own work, so by definition all subsequent work has “replicated” his results, since if it did not it does not exist. Thus multiple reconstructions that come to different conclusions were left out of IPCC reports, and in Mann’s book he claims that “NO studies” show a warmer MWP, when I have personally a whole file drawer full of papers indicating a warm MWP. You are absolutely correct about the upside-down Tiljander proxy. But you are too kind in allowing that Mann ‘made a mistake’. Dr Tiljander had informed Mann before he published that she discovered that her sediment proxy was corrupted. But MANN USED IT ANYWAY because it gave him the hockey stick shape he wanted. Mann did not make a ‘mistake’. He deliberatly engaged in scientific misconduct. The divergence problem is a mathematical artifact of calibration. Formally known as “selection on the dependent variable”, it is a statistical flaw in the methodology that creates bias in the results. This bias leads to divergence at the calibration boundaries, and misleading results over the proxy period. In other words, it isn’t the trees that are at fault. It is the knuckleheads looking at the tree cores that have improperly applied amplifier technology to statistics, thinking they were inventing a better way to look at noisy data. What they invented instead was a way to amplify noise, while making it look like signal. They fooled not only themselves, but most of the world as well. The do18 proxy is the best temperature proxy we have. Yet the pro-AGW posters do their best to denigrate it. On the other hand, tree-rings are the worst temperature proxy that we have and the pro-AGW posters believe the tree ring data without question. This whole science is like that. It’s not science, it’s choosing which data to believe. It’s a “belief system”. As you rightly infer, it is a damning indictment of both the quality of the science and of the quality of peer review. If it was not for pal review, the errors ought to have beem picked up prioer to publication and the paper either corrected or rejected. This affiar is an endorsement of the need to provide all code and data sets whenever a paper is published, it is also an endorsement of the effectiveness of independent review by ‘amateur’ scientists and demonstrates the value of their independent input and review. For people who want a more accessible explanation of Mann’s statistical parlor tricks, I would suggests Andrew Montford’s book “The Hockey Stick Illusion”. Montford does a good job of detailing how the Yamal and Tiljander tricks work. The reason the Press hasn’t gotten on to is because the math that Mann uses is somewhat sophisticated. Most journalists have simply never encountered math at this level and they are intimidated by it. The short summary is that Mann has invented a variant of a well known statistical tool known as PCA. Mann’s version of PCA has never been reviewed in the statistical literature. McIntyre has demonstrated conclusively that Mannian PCA mines for the presence of hockey stick shapes within the data and then imposes those shapes onto the composite of all data. So if you have thousands of time series (proxies) all showing no trend and you add just one series that has a hockey stick shape to the mix, Mann’s PCA method will output a hockey stick shape as a high order principle component for the entire composite of all proxies. So all Mann [or a replicator] needs to do to manufacture hockey sticks from any data is to always include at least one series with a hockey stick shape. Which of the folowing has Mann not done? •	If a researcher will not show their raw data. •	If a researcher will not show the “adjustments” they have made to their raw data. •	If the researchers historical “adjusted data” conflict rather dramatically with other generally accepted data sets without any rational explanation. •	If a researcher will not show the internals of the model that processes their adjusted data to produce their results. •	If a researcher attempts to destroy anybody who disagrees with them, instead of attempting to refute their position. •	If a researcher attempts to destroy their raw data/adjustments/models rather than have them released. It isn’t just stupid logic. It is a particular brand of stupid logic: consensus logic. According to consensus logic, Mann is correct because his results agree with Wahl, and Wahl is correct because his results agree with Mann. They are both correct, because they agree. This bootstrap loop can be expanded to include anyone who agrees, and the number who agree becomes further “proof” of correctness, to be used to obtain yet more agreement. Rinse, repeat. I think it is progress for Mann that he finally openly associates with crusades against science. Before now he just did that in a clandestine way. Maybe he soon will be able to get professional help and makes a tearful confession about his motivations for damaging science on some afternoon talkshow. I can understand that when faced with desperate situation, e.g. time of war, lying to the enemy. However the bottom line is, some people believe it is ok toile, especially for a “noble” cause whatever that may be, but for me, brought up with Judaic-Christian beliefs, a lie, is a lie, is a lie when all said & done! very apt title, as Mr Mann has been crusading against science ever since he came up with his “trick”. In Mann’s crusading mindset, if you try to skeptically / critically analyze the intellectual integrity of his paleoproxy work then you also must oppose the IPCC ideology that it was created to support. The bigger problem for the IPCC ideology is that he is not just an inept crusader in their quest for alarm, he is now publicly exposed as their dutiful jester who is seen as just spitting at the feet of skeptics who have integrity. How do you know it’s not a doll’s house? Dr. Mann has made his fame and fortune off of contrived images designed to mislead people about climate. Why should he change now? Well, maybe not. But at least it *does* show how you can justify just saying “no, not at all” and leave it at that. It’s a part of the truth, just not the whole truth. and you know why? high’s the water Mama, it’s 5feet high & rising etc. There doesn’t need to be scientific data to refute the hockey stick. Its that the data used to support the hockey stick doesn’t exist. This graph has been refuted because there is no substance behind it. Simple – or should be. I would not expect Pippen Kool to read it, or to even understand it if he did. I know his type: a religious cult acolyte who has seen the light, and no scientific evidence can possibly refute his True Belief, as pronounced by Michael Mann from on high. But others who read it may be swayed by the points you raised. We are fighting for those in the middle, those who are still undecided. True Believers like Pippen Kool can never be convinced, no matter how many facts, and no matter how much evidence is presented. It is an unusual result of natural selection, that some folks can be totally convinced that black is white, war is peace, ignorance is strength, and CO2 causes runaway global warming. They Believe it. That is enough for them. But for scientific skeptics, evidence and facts are necessary to support a conjecture like AGW — evidence and facts which are sorely lacking. In fact, there is no empirical evidence linking human-emitted CO2 to global warming. If CO2 has any effect on temperature, it is too small to measure. We know this, because there are no such measurements anywhere. Since 1998, Michael Mann has consistently refused to provide the data, methodology, metadata and other information he used to fabricate his hockey stick chart. That refusal is enough for any true skeptic to question his claims. But Pippen Kool doesn’t care. His True Belief is sufficient. He is no skeptic. He simply Believes. This PPP survey of likely voters is the first to show McAuliffe over 50%. Cuccinelli is hurt by the Libertarian candidate, but that won’t matter if the Democrat can stay over 50%. VA has a lot of furloughed federal workers, although how can they really object now that they’re getting paid not to work? PPP is a Democrat polling firm, but other surveys find Cuccinelli behind, too, as McAuliffe has worked the “War on Women” theme so popular & effective in recent elections. Mann may never be called to task for his frauds. This is worth repeating, imho. You offer documetary evidence that Dr. Mann is so blatantly wrong in his assertion as to raise questions about either his integrity, his knowledge base, or both. Actually, I thought Mann was scared to death of going up against a skeptic in a real debate. Well, the Washington Post is a seedy publication, right? Comment on the errors in the YouTube video by signing in and posting something like the following. Keep it short because there is a 500 character limit. For more on Atlantic coast and Chesapeake Bay subsidence, which is the main reason for sea level rise of coastal cities, see pg. 18-22 of “Chesapeake Bay Land Subsidence and Sea Level Change” by Virginia Institute of Marine Science. For analysis and repudiation of Mann’s “hockey stick” temperature graph, search for “University of Guelph hockey stick debate”. The IPCC’s latest report, AR5 acknowledges no measurable increase globally in extreme weather; see Chapter 2 (pg. 5). Warning: your comments will eventually be deleted and you will be blocked from posting on that video but at least for a little while your comments can be seen. Roger Knights (2:42am today) WELL DONE! Thank you for all that research. That must have taken quite awhile. I sure admire your perseverance. As D. B. (a.k.a. “Smokey) said, well worth the effort for it may help a genuine seeker of science truth to reject the lies and distortions of AGW. B. Then, if you are her husband …. show her that she is, indeed, physically attractive to you (THAT is what she is really worried about, you know) in whatever way you think will be effective (but, NOT something that she will quickly realize is purely self-gratification — just something little, like stroking her cheek with the back of your fingers and saying, “It’s hard for me to give you fashion advice; you are always beautiful in my eyes.” — at some level, she is, you know; if you do NOT know that, then, work on realizing it! There is NO non-evil woman in this world who isn’t beautiful in some way.). Rule for marriage happiness #1: “It’s my job to love __, it’s God’s job to make __ good (or improve, etc…).” Leave it to her sister or a magazine to help her with her physical appearance. She knows her flaws, believe me. She needs all the support she can get from you. OKAY, OKAY, I know there will be someone who thinks, “But, there are women (and men) who really NEED and would welcome a hint.” Let them ask for the advice. You knew what a slob or poor dresser he or she was before you married her or him. (if he or she has put on a lot of weight after marriage, approach it as a health issue) Communicate, i.e., come up with a deal where they agree to ask when in doubt, so you can help them walk about town not looking like they just got off the little bus from the mental institution (not because appearance is important per se, but because how one dresses affects how people treat you and you want your loved one to be respected and valued — you can use this to help them to be willing to ask for that advice…). Reminds me of this quote. I wonder how Little Mikey’s followers would “feel” about that image if it was Anthony’s house? Re: Reed Coray (9:45pm, 10/9/13) – lol. I think they do! Look (below) at all the WORK they put into building it. Where’s the top story, now? Oh, they used that in the “Hurricane” Sandy schtick last year. Sorry for the obnoxious failed link. If you want to see the build, go to youtube.com and use “Toy Story 3 Barbie house” for a search term. Sigh. I lived in Norfolk, VA from 1943 to mid-1946 in the Larchmont neighborhood. There was a man-made lagoon along the shore of the James river formed by a concrete seawall about 200 yards form our home. I had an opportunity to revisit the area few years ago. Nothing had changed other than the large elm trees on parking strips had all died and were gone. I went down to the lagoon an noted that the tide level marks on the seawall were about the same as in the 1940s. I submit that my anecdotal observations refute Mann’s hypothesis. This should be exhibit A in how to lie with statistics: use a parameter that sounds like the one you want, but isn’t. Mann is too well educated to be making an error of this kind accidentally, so I conclude he is lying deliberately and with malice aforethought. Go Mickey, you the man. Thank you for your untiring efforts on our sceptical behalf. am i the only one that wished the IPCC rigidly adhered to the hockey stick image ? their demise would be so much quicker if they had. Pippin: Great! — Where are we going? And I do hope that little Pippen also has a heart like Pippin’s. If he or she has, there is hope that Pippen will find the truth. Surely no one is stupid enough to think that this is an actually a picture of a house in Norfolk, rather than a graphic? “World renowned”. Yep. But not what he thinks it’s for. I see that at least one other poster has referenced the study below, but incase anyone missed it, here it is again. More than half the apparent sea level rise in the Virginia area is due to subsidence. The actual seal level rise is less in that area that the global average claimed by IPCC. http://web.vims.edu/GreyLit/VIMS/sramsoe425.pdf (81 page report). Looks like Mann is on the path to another Nobel prize. He really is a disgrace. Mann has never been the recipient of a Nobel Prize. If he ever gets one, it would be his first. A suggestion to Pippin: calm down a bit before responding. Your posts are bordering on incoherent, and not necessarily on the correct side of it. @Oakwood What happened to that Richard Parker alias you had to create after the Geological Society of London politely asked you to stop using your professional qualifications anonymously?